Together with Ross McKerlich, Terry Anderson, and Bard Eastmann I have a paper out in the Journal of Online Learning and Technology (JOLT). 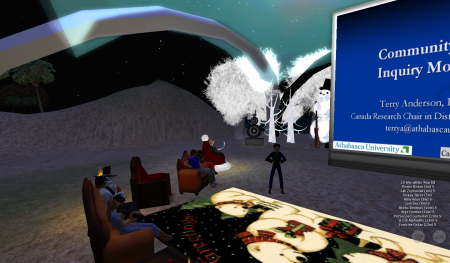 The paper is entitled Student Perceptions of Teaching Presence, Social Presence and Cognitive Presence in a Virtual World, and is based on research collaboration we started back in 2009. Back in January 2099, I participated in a Master Class on Learning 2.0 and Knowledge Media at Aarhus University, where Terry Anderson (Athabasca University) was one of the guest lecturers. When Terry learned about my research in SL, he invited me to participate in a research project that was aimed at investigating the use of the Community of Inquiry (COI) model in 3D environments. The COI model was developed in the late 1990’s as framework for evaluating educational experience in text-based online environments by D. Randy Garrison, Terry Anderson, and Walther Archer. 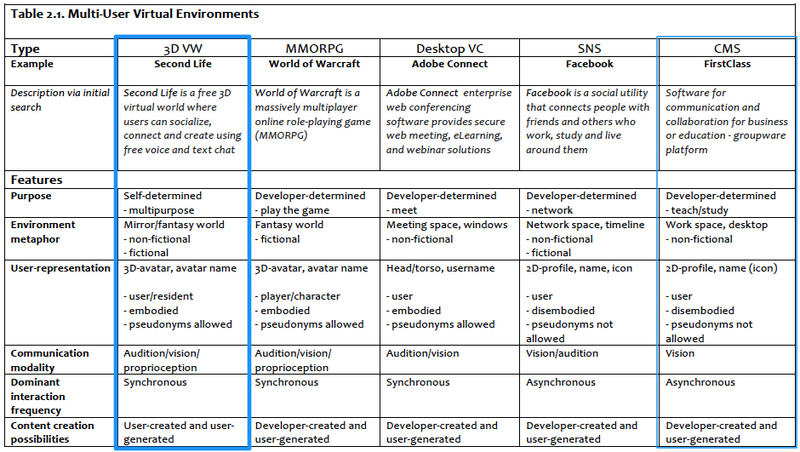 Given the COI model’s wide spread use in different educational settings it is by no means coincidental that one of the original founders, Terry, has found it important to explore the applicability of the model in new online environments such as the 3D virtual world, SL. 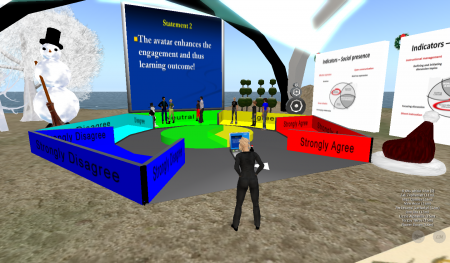 Together with Ross McKerlich, Terry conducted a preliminary, qualitative exploratory study in SL in 2007, and basically confirmed that the model also can be used in assessing educational experience in 3D virtual environments (McKerlich & Anderson. 2007). As part of our collaboration, Terry & Ross, participated in one of my in-world classes with the MIL09 students – something both the students and I appreciated very much. Presence – or having a sense of active participation – in distance education has increased with the expanding use of and affordances of communications technologies. Virtual worlds have been on the forefront of popular and education technology in the last three years and innovative methods of teaching and learning are emerging in these contexts. 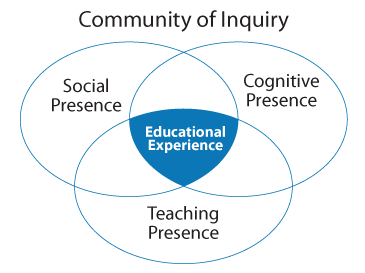 Using the recently validated community of inquiry (COI) instrument, this study focuses on students’ perceptions of teaching, social and cognitive presence in virtual world contexts. The authors examine whether the COI Instrument can effectively be applied to virtual world learning events. The results are exciting: in a diverse sample, virtual world learners perceive teaching presence, social presence and cognitive presence.